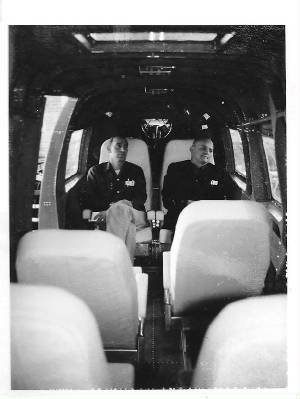 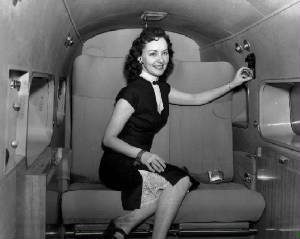 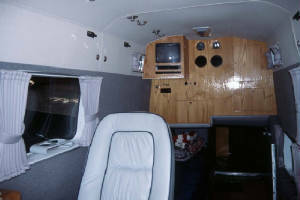 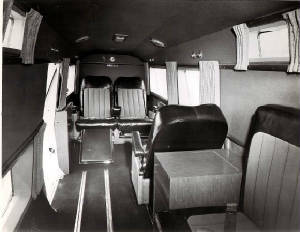 Marksman N827W - Cabin - view aft. 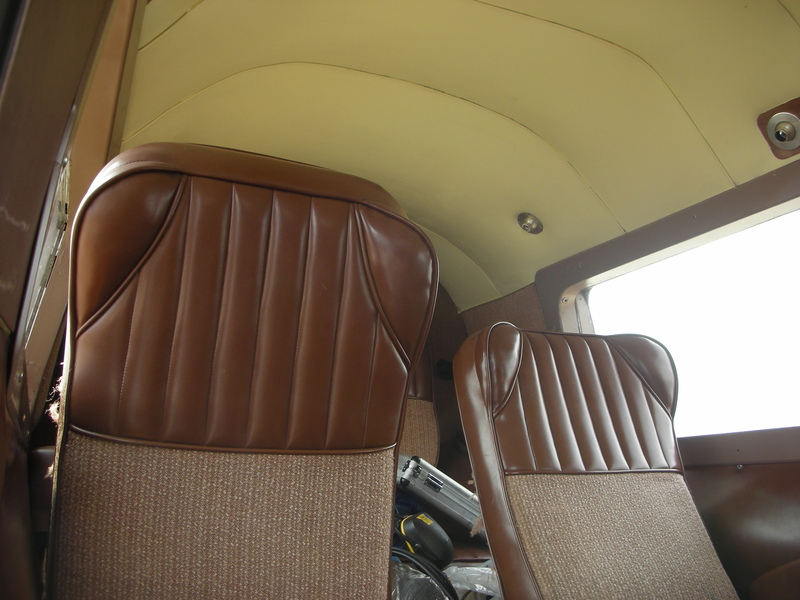 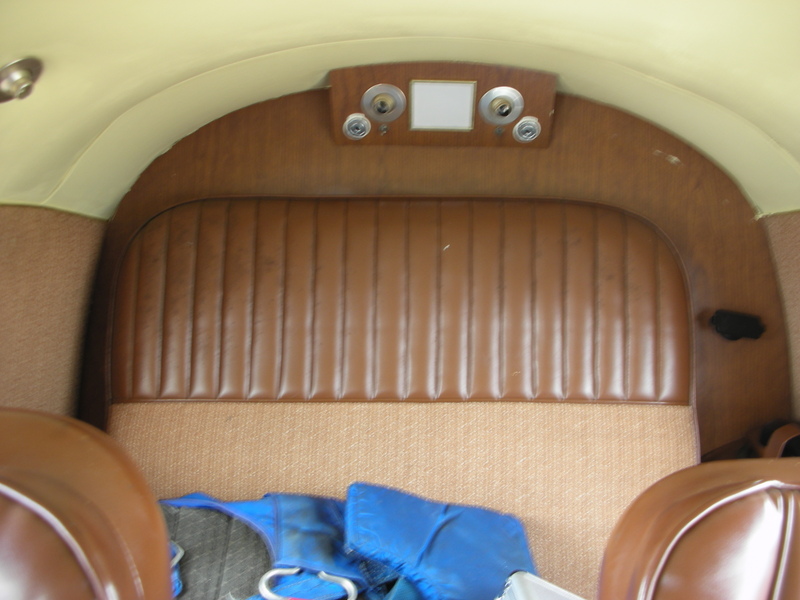 Note the Rear " Ring " Spar covered by upholstery. 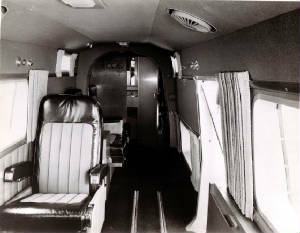 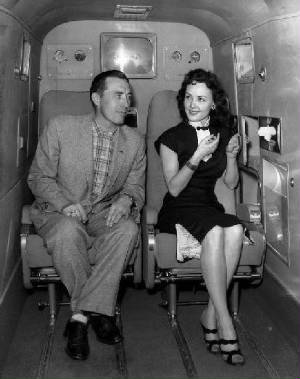 Marksman N827W - Cabin - view forward. 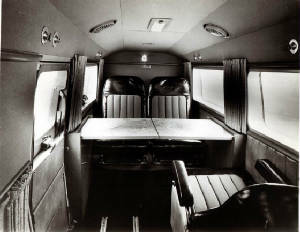 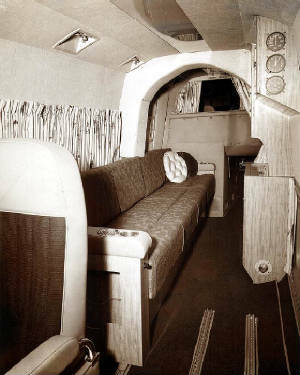 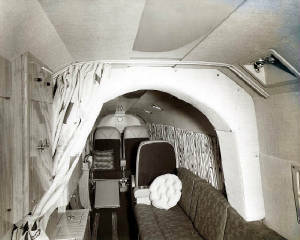 Note the Rear " Ring " Spar covered by upholstery, the Forward ( Main ) Spar carry through with " Duck-Under " below right, and the curtained opening above the covered structure. 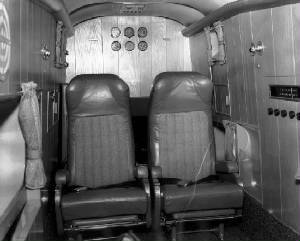 Graham Robson photos, used with permission. 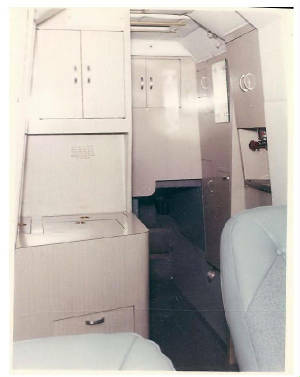 Marketeer N40Y - Mid-Cabin - view forward, Lavatory door closed. 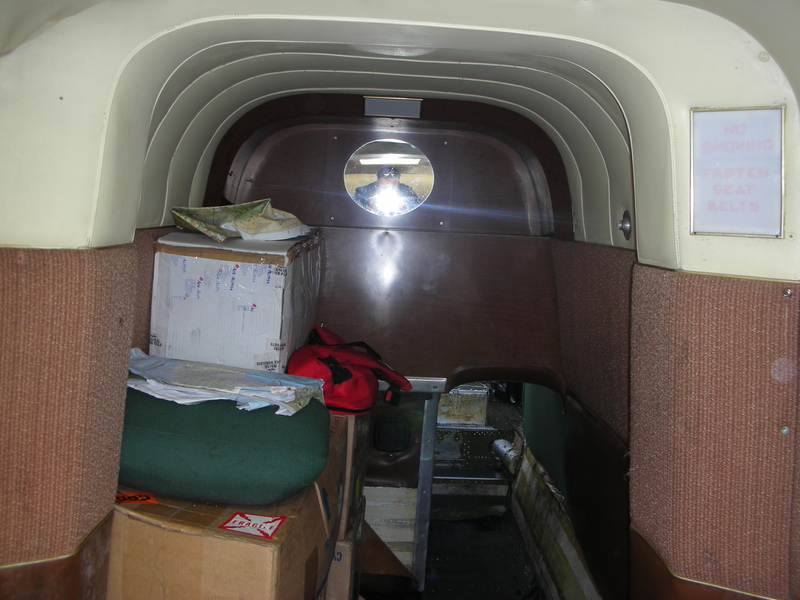 Forward ( Main ) Spar " duck-under " evident. 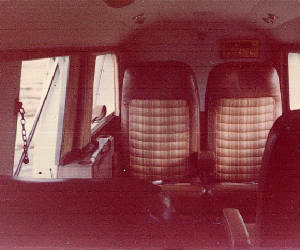 Marketeer N40Y - Cabin - view aft, Airstair open. 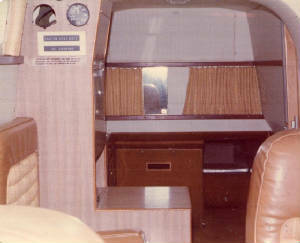 Marketeer N40Y - Cabin - view aft, Airstair closed, work tables extended. 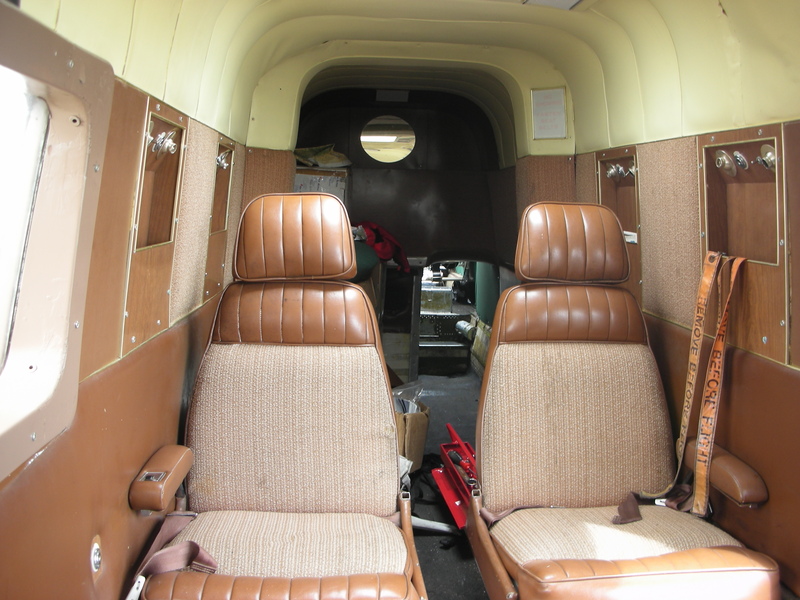 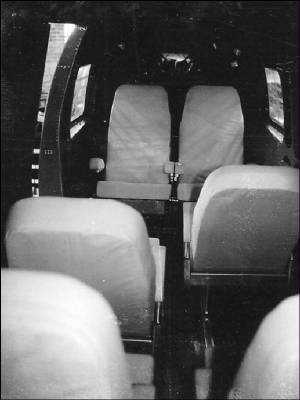 N6840D cabin under construction ( partial completion ) at the factory, view aft from the rear " Ring " spar area. 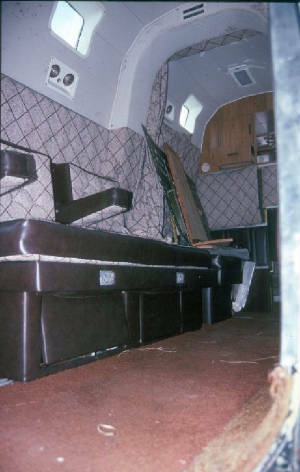 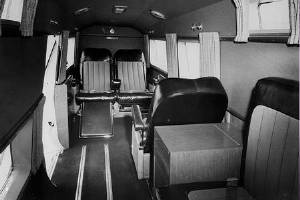 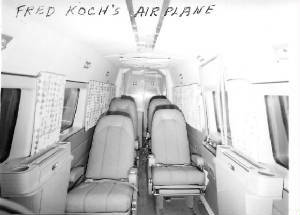 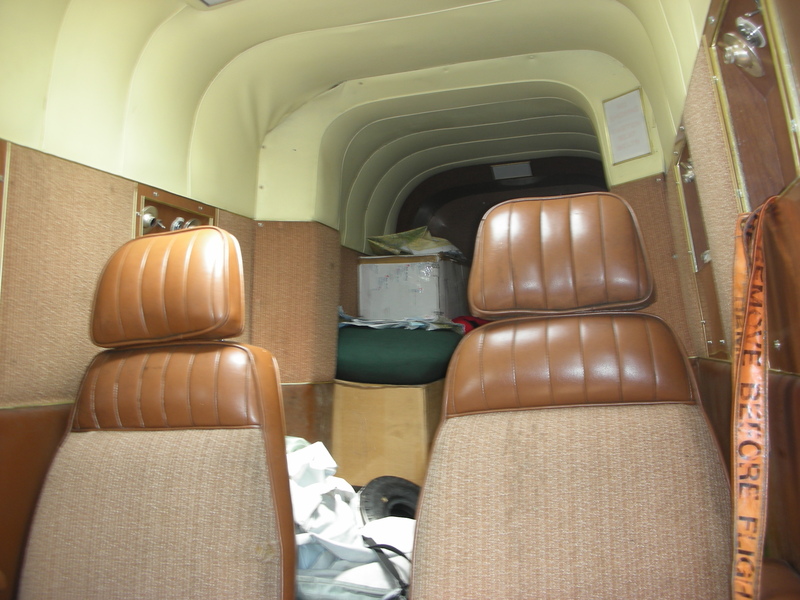 N6840D cabin interior, view forward from the rear seating area, with the Airstair up and secure. 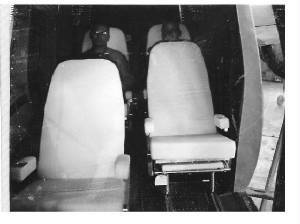 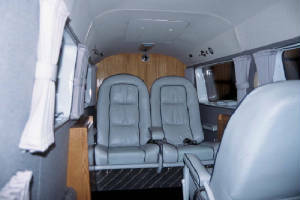 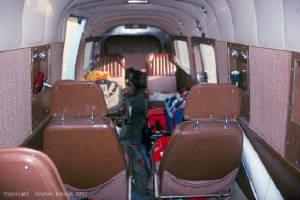 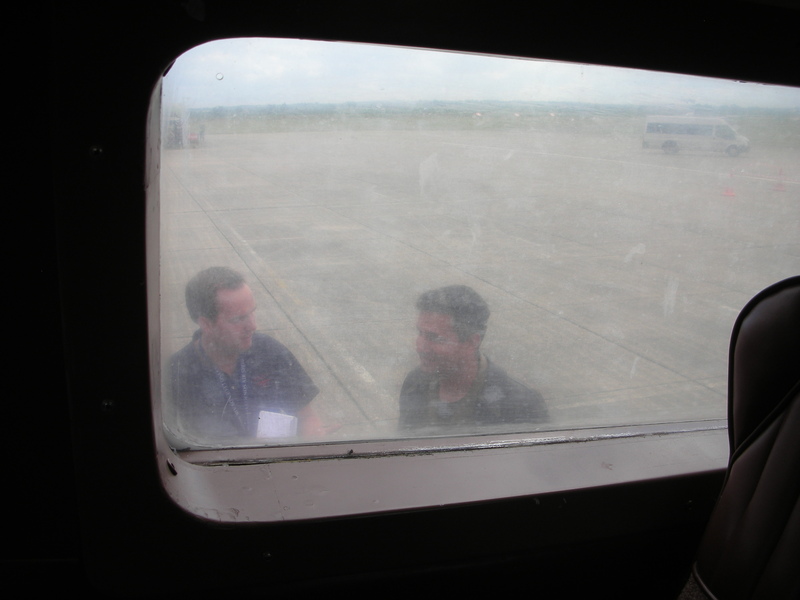 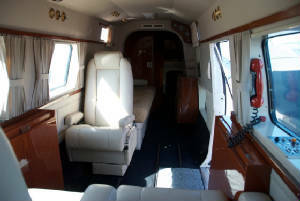 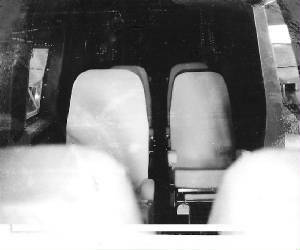 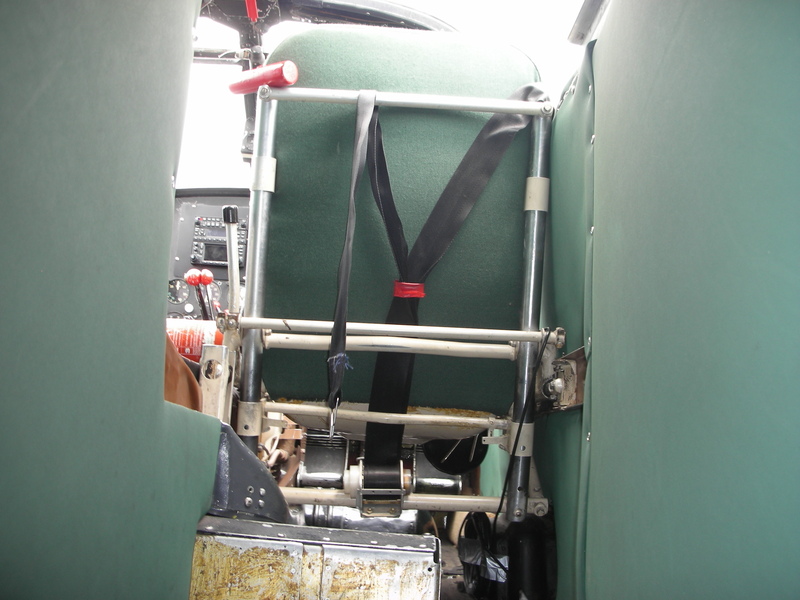 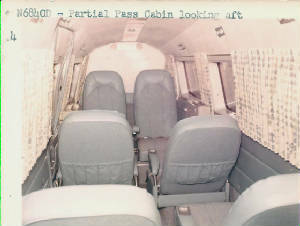 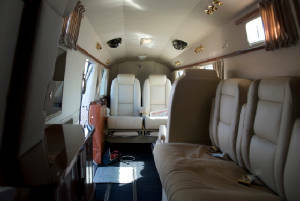 N6840D cabin interior, view aft from the rear " Ring " Spar area, with the Airstair up and secure. 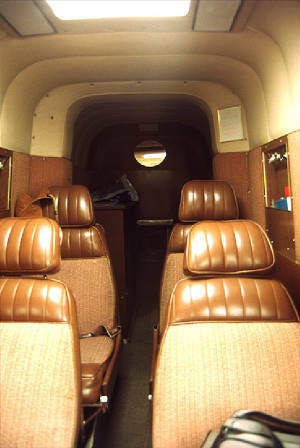 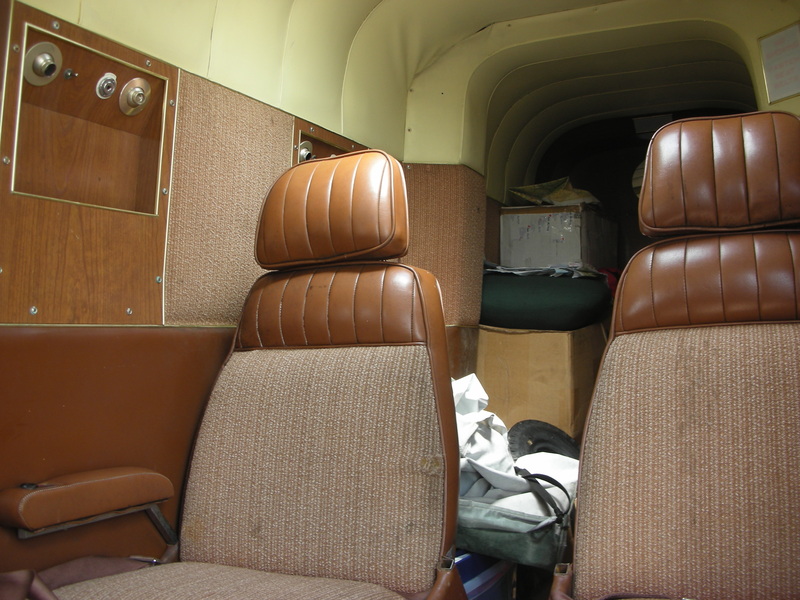 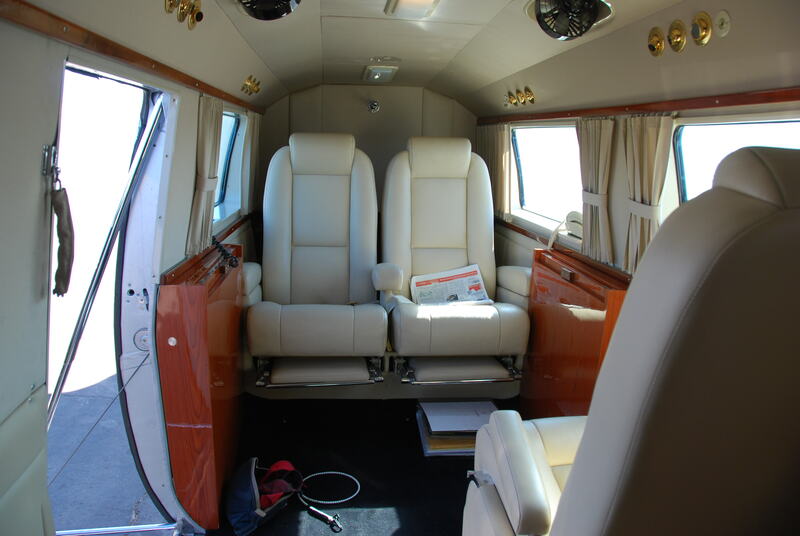 N6840D cabin interior, view forward from behind the rear "Ring" Spar area. 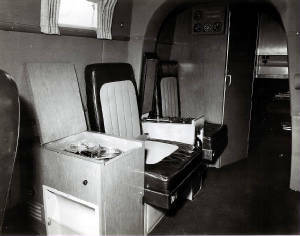 Of note is the beverage and food service, and the forward spar - cockpit entrance " duck-under " evident to the right, below the wood surfaced carry through structure.